The Expedition Everest is great and challenging way to the zenith of the Everest which is full of physical and mental challenges. The satisfaction of being able to climb through such trepidation, is unparalleled. Offering breathtaking views, adventure, challenges and a once-in-a-lifetime experience, Everest Expedition is Himalayan paradise. This route, also known as, the South Col route of Mount Everest, is the most used route on the mountain. The Expedition will follow the route the legends, Sir Edmund Hillary and Tenzing Norgay Sherpa used to summit the World Highest peak on 29 May 1953. Since then, many climbers have been able to step on the tip off the Mt. Everest. Although, this fact doesn’t change that it is easy to summit the Everest but Everest is ultimate challenge in itself. For Everest Expedition, you need an experience in mountaineering and desire to accomplish the risk and glory to Everest. ascending difficult high-altitude mountain peaks, of about 7000 or 8000-meter peaks in the Himalayas. Everest expedition trekkers must be able to ascend and descend fixed lines independently, even though fixed ropes will be used, and being proficient with crampons on very steep ice and snow slopes is required. Himalayantrekking.com will take you through a great journey in the Himalayas and guide you at every step. Safety and proper guidance is our main priority. Our professional team of Himalayan Climbers (Sherpa) will be there for 24 hours to provide the proper guidance and assistance. Through the proper guidance, you will be submitting the Everest in successful way. And Here all the things, you will get in reasonable price. Join us for an exhilarating experience in the Himalayas, with world-class service at a very reasonable price. For Expedition Everest, we will establish our Base Camp at 5300 m height at base of the great Khumbu Ice fall before making our way to Camp I at 6200 m. We will then climb towards Camp II at 6600 m which is in the middle of the Western Cwm(The Western Cwm is a broad, flat, gently undulating glacial valley basin terminating at the foot of the Lhotse Face of Mount Everest). After that we will move our way up the Lhotse face to Camp III at 7200 m. And finally, we will climb up from the South Col to Camp IV, which is at 8000 m, before making our ultimate push to the summit of Mt. Everest. For this expedition, we shall set up an Expedition base camp that will be permanent. While you are staying in the base camp, you will be offered a personal tent with Expend down filled mattress. Not only this, there will be a large dining hall with chairs and tables. In the dining room, there will be a carpet, heated and lit by solar electricity. There will be internet facilities as well. All this, just to make your stay at base camp as comfortable as possible. We provide hygienic shower and toilet. Every climbing staff will have their own tent along with kitchen and store tents. We will also have a great expedition cook at the base camp who will provide you with nutritious and nourishing meals required for the trek. There will also be an expedition team manager to arrange all the required logistics essential for a successful expedition. use of oxygen, mask and regulator, etc. In order to check your skills, guide will also arrange a climb of a 6000-meter peak before our climb of Everest. For proper acclimatization in the high altitude, we will climb the Khumbu ice fall several times as part our acclimatization trek to Camp 2 and Camp 3. Our team of Himalayan climbers Sherpas will ensure that all the high camps are well equipped with tents, food and oxygen for the push to the summit. Before our push to the summit, we will return to base camp for rest and recovery. After we receive confirmation of a favorable weather forecast, we will head up to ABC(Avalanche Base camp). From ABC, we lean forward to Camp 1, Camp 2, Camp 3, Camp 4 and then finally the summit. There will be availability of the Expedition tents at all the higher camps. One Sherpa guide is for one climber to support. This is to ensure that every climber gets proper guidance and support to enable them the opportunity to climb the peak and return to the base camp safely. We provide you with essential climbing gears like high-altitude tents, solar lights, carpeted dining tents with chairs and tables, oxygen, mask and regulators, climbing ropes etc. We provide nourishing and hygienically prepared food at both base and advanced base camps during your Everest expedition. Plenty high-altitude foods will be provided at higher camps. Unlike other expedition operators, we don’t charge our climbers extra for all the expedition load ferries from base camp to all the higher camps. Climbers will be supported by our climbing Sherpas throughout the expedition. Our climbing Sherpas have widespread knowledge of wilderness medical training and have the capacity to deal with the general medical issues. We have oxygen and complete medical kits as well as a Gamow bag. Guides will recommend to the climbers to carry personal micro first-aid kits with them. Trekkers must use the latest TOP OUT mask and oxygen regulator along with 4-liter Poisk oxygen bottles. Two-way radios and satellite phones are always at hand for communication. Our movements depend upon good weather to ensure the safety of all our climbers and supporting team. Thus, we have a professional and reliable weather forecast service for the whole duration of the expedition. There will be regular info and updates on weather throughout the journey to Everest and back. The Everest base camp lies at 5,200 meters on a moving glacier. We will be spending up to 45 days here. Expect the weather conditions in the base camp be constant that means good all day.. Our stay at the camp will consist of shifting and moving of tents and platforms as the ice moves and melts. While your stay in the Base camp, the stunning and mystic view of Pumori, Lola, Nuptse, Nutse and the Khumbu Icefall will lure you. You will experience warm mornings and occasional afternoon snows falls. The base camp will feel like a small village high up in the Himalayas as there will be presence of many expedition teams. Achieving Camp 1 is one of the most challenging part of the south side climb. It is mostly technical as it crosses the Khumbu Icefall. The Icefall is 2,000′ feet of moving ice with deep crevasses, transcending ice sera’s and avalanches off Everest’s west shoulder. We will only be spending two nights at Camp I for acclimatization. We will head towards camp 2 only after proper acclimatization. After base camp, Camp 2 is where you will spend the most time in your expedition. It is found in a lateral moraine at the bottom of west ridge. As Camp 2 is located in a safe and sheltered location, all expedition operators establish their main climbing camp here. There will be tents for every climber along with kitchen and dining tents. 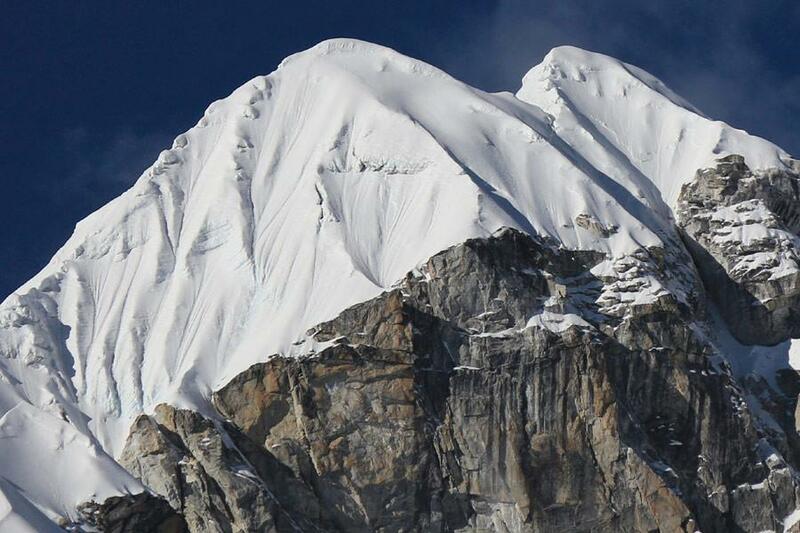 The C2 is also blessed with amazing views of Lhotse. You will be spending a lot of time in Camp 2 as it is also the main acclimatization camp. It is used as the base for camp 3 and the summit push acclimatization. 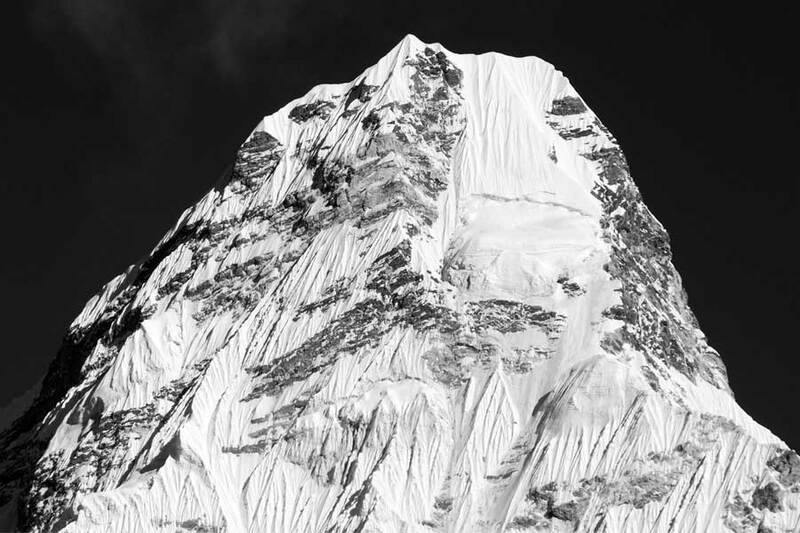 Since all climbers are feeling the impacts of high elevation and are not yet utilizing supplemental oxygen, climbing the Lhotse Face to C3 is mostly challenging. The Lhotse Face is steep, and the ice is tough, but don’t let this discourage you as the course is settled with rope, the rope can be at angles ranging from 30 to 45 degrees. It is a long and hard journey to C3 yet is required for proper acclimatization preceding an attempt to the summit. You will be spending at least 2 nights at camp three. The last camp, Camp 4, is found at the South Col. Most climbers make their way up to the South Cole without supplementary oxygen. The South Cole is surrounded by Lhotse to the south and Everest to the north. It is flat and covered with loose rock. Climbers must navigate through two rock sections- the Yellow Band and the Geneva Spur. From Camp 3, on the way to the summit, climbers must cross the yellow band and the Geneva Spur on the way to the South Col. These barriers, while not technically difficult, are a challenge at an altitude of 25,000 feet. Both areas are set-up with fixed ropes. The South Col is another world. Sitting between Everest and Lhotse at 26,300 feet, it serves as the base for the summit attempt. Climbers don’t spend long here since the weather is always temporary and the altitude destructive. Once there, they eat and rest and then go to the summit. The bid to the summit starts with a steep climb up the South side of Everest. It takes about 9-13 hours to reach the summit from the south Col. Reaching the Balcony at 27,500 feet, climbers turn West up the ridge to the South Summit, over the Hillary Step onto the Summit Ridge and then the True summit. 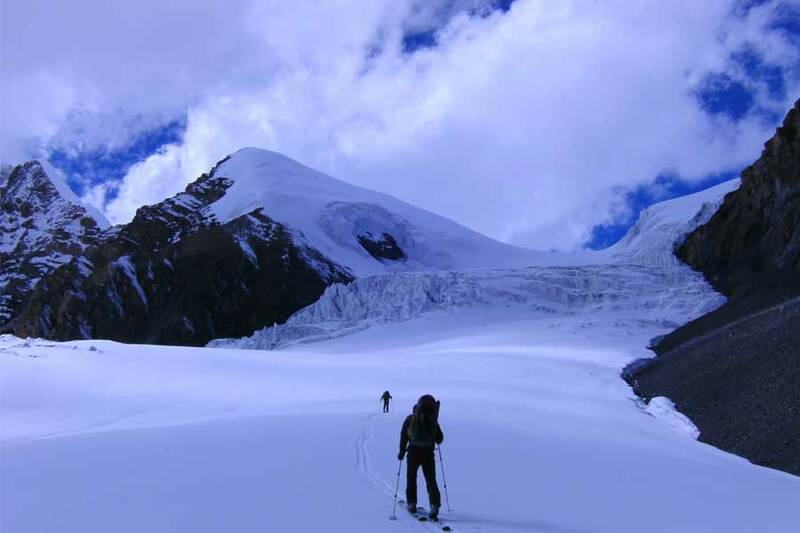 The path to True summit is a modest snow slope that demands a physical effort on top of the altitude requirements, but climbers climb through on adrenalin. And then, there it is, the Everest summit! An unbelievable journey to a very unique place, worthy of all the mystique and lure.